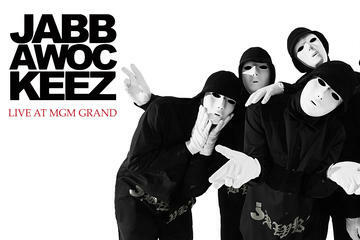 the Jabbawockeez at the MGM Grand, push the boundaries of Hip Hop to evoke heady imagery, raucous laughter, and an all-around good time. When you sit at the top of the pop music food chain, as Hip Hop has for a decade, the temptation is strong to take yourself very seriously. After all, what is a clown if not an easy target? No one bothered to tell the Jabbawockeez, and they get the last laugh as EDM (Electronic Dance Music) threatens to overtake Hip Hop in the dance clubs. In their latest residency for 2019, “Jreamz” at the MGM Grand, the renowned California-grown dance crew does many things well. Best of all, they repeat their previous success at capturing a spirit of fun and levity sorely missing from the Top 40. This rowdy, joyful spirit is what put Hip Hop in its pole position in the first place. Founded in San Diego by Kevin “KB” Brewer, Phil “Swagger Boy” Tayag, and Joe “Punkee” Larot from the ashes of their previous, Sacramento-based crew 3 Muskee, the Jabbawockeez shot to prominence in 2008 as winners of the first season of America’s Best Dance Crew. They have toured the nation and headlined numerous residencies in Las Vegas. “Jreamz” is built around the loose story of a work-a-day schlub putting on pajamas and a pointy sleeping cap, laying down in bed, and awakening in a rich dream world, filled with adversaries who want to step to him, and allies ready to back him up. Adding to the flavor, the Dreamer is split into a “dark side” and a “light side,” two separate dancers who interact with, and don’t always oppose, each other. Complex synchronized and syncopated choreographies recall the street dance battles that birthed this technique. In moments choreographed to remixed classical music, the spectacle approaches the feel of ballet … only with breaking, pop-and-lock, and slow-step. Tricked out in matching, slightly creepy white masks and Mickey Mouse gloves, the Jabbawockeez recall classic Commedia dell’Arte mask work in their exaggerated, mime-like physicality. The Blue Man Group is another obvious influence, but the Jabbawockeez do their thing without the benefit of those expressive eyes. 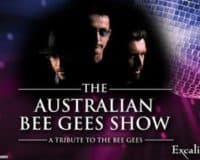 This is a family-friendly show, assuming your kids can handle loud music and bright lights. The multi-genre sound palate draws heavily from EDM for an of-the-moment sound, dipping into classics by Biggie and DJ Kool to remind us of their roots. A particularly hilarious, clownish piece plays out over the bubblegum anthem “My Boo” by Ghostown DJs. When the music cuts off abruptly, the oblivious Light Dreamer continues jamming out spastically. Supplementing this sparse storyline is an impressive light show, including dreamy gobo spots, an RGB laser light show, and surreal visuals projected on screens. In one memorable sequence, the Light and Dark Dreamers stand in front of an upstage screen, on which is projected a checker-floored dreamscape with vector mountains and trees. Sparkly parasols, keyboards, fireflies, and rainbows appear on the backdrop, which the Dreamers make a pantomime of interacting with to very cool effect. The theater is tiny, which serves the show well. Not only is every $100+ seat spectacular, but the close quarters add a throbbing immediacy to the physicality. From far away on a huge stage, the precision dancing would be impressive. At close quarters, it pops. Verdict: Risen from humble roots as a street dance crew, the Jabbawockeez at the MGM Grand in 2018, push the boundaries of Hip Hop to evoke heady imagery, raucous laughter, and an all-around good time.